Looking to unwind with friends over the weekend? We’ve found a perfect place where you can enjoy refreshing cocktails and delectable food while having a lot of fun! 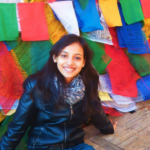 Drinx Exchange lets you interact with drinks, music and food in the most unique way. The prices of the drinks at this place keep fluctuating based on real-time demand, just like the stock exchange. And you can place your orders for food, drinks and play music using an app on your phone. We got a chance to try some of their cocktails and dishes and here’s what we think about them. A true thirst quencher, this cocktail’s refreshing flavor will delight any cocktail aficionado. 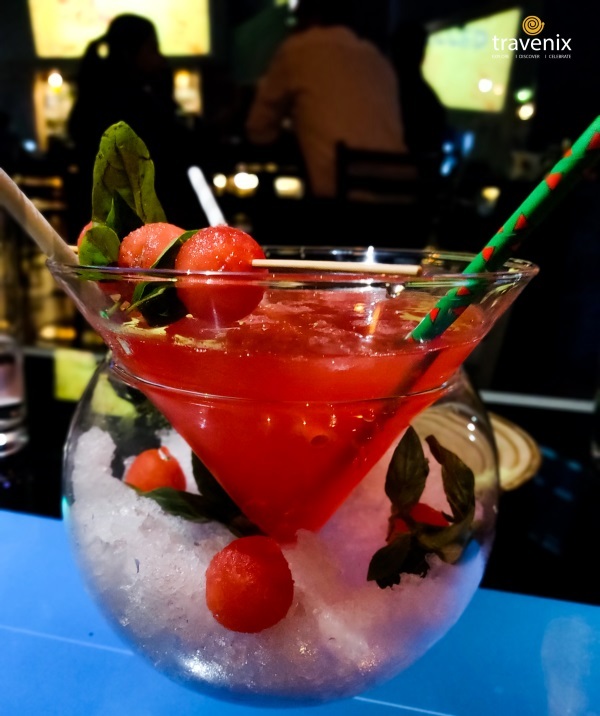 It contains fresh juice with watermelon and a hint of basil, mixed with a smooth vodka base. This tantalizing lemon-infused cocktail features a medley of beer, rum and vodka. 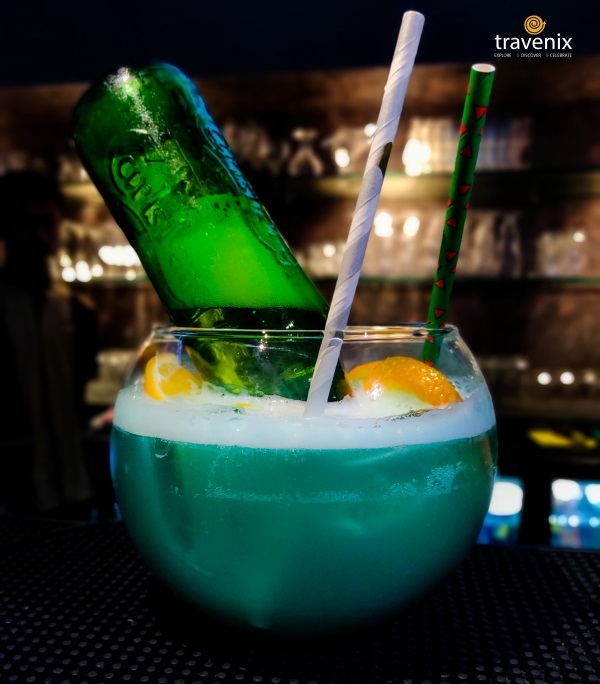 It blends well with the chilled-out vibe of Drinx Exchange and is great for people who are looking to try something “adventurous”. 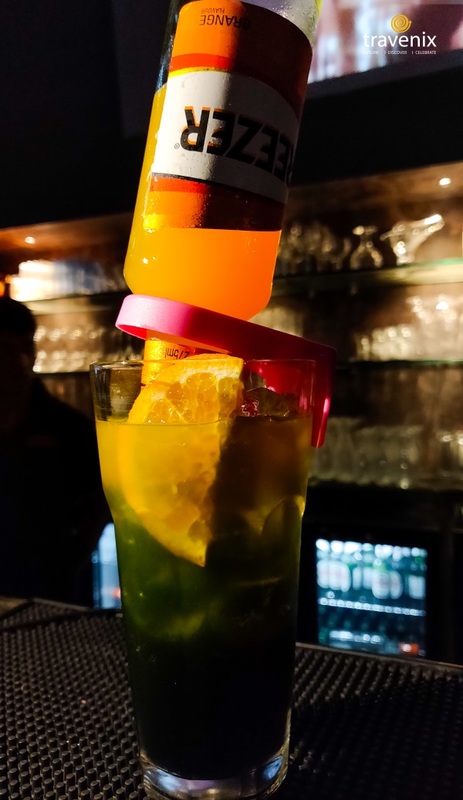 This vibrant cocktail contains vodka, Breezer and colorful mixers that make it “instaworthy”. Rainbow Zenga is a mild and refreshing drink that can accompany your main course meals. French fries and delicious Mexican cheese, you won’t find a better fast food combo. 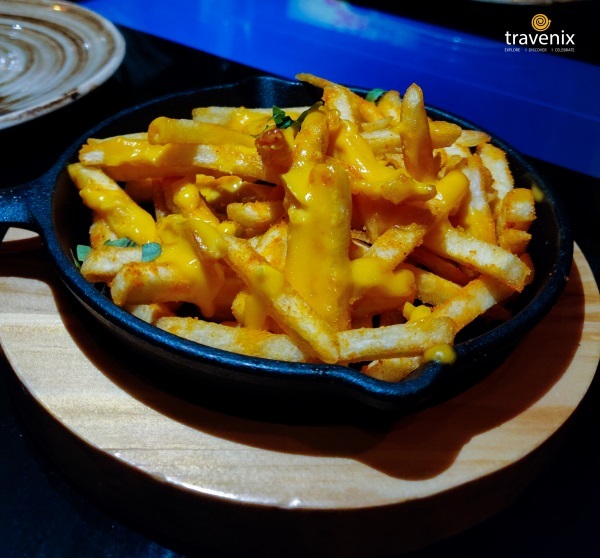 The crispy fries perfectly complement the spicy Mexican cheese flavor. Mexican cheese is a much-needed upgrade to the regular variants of french fries. 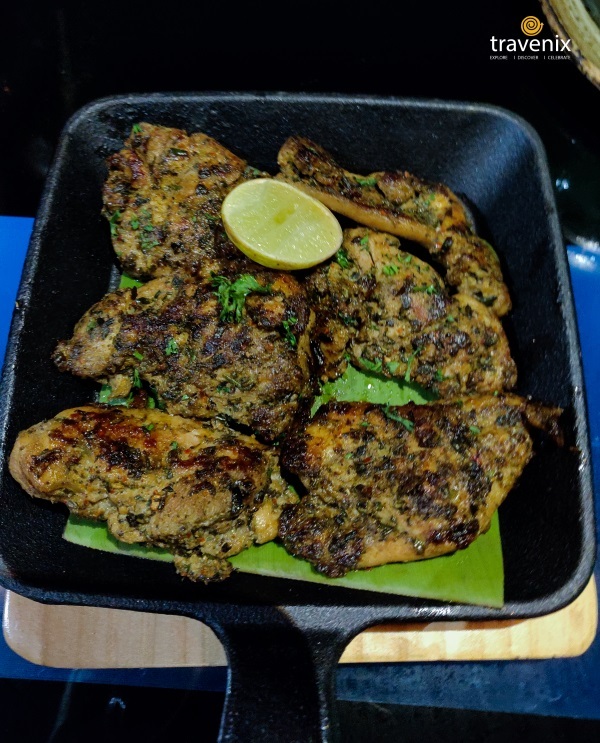 Grilled and Headed Chicken is an excellent accompaniment for all kinds of drinks. It was surprisingly soft and tender and has the right amount of flavor. 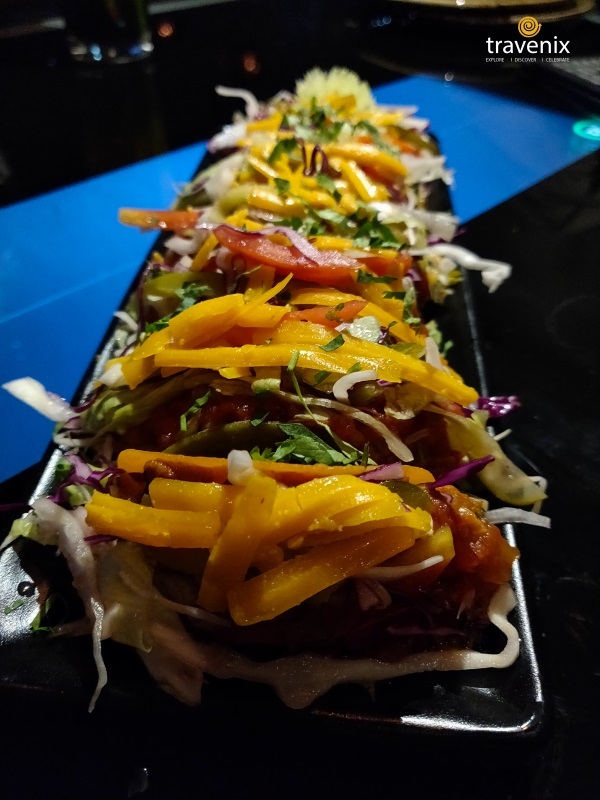 If you prefer spicy food with your cocktails, Drinx Exchange’s Mini Flavored Tacos won’t disappoint. The mini tortillas are crispy and filled with spicy veggies that give it a tempting taste. 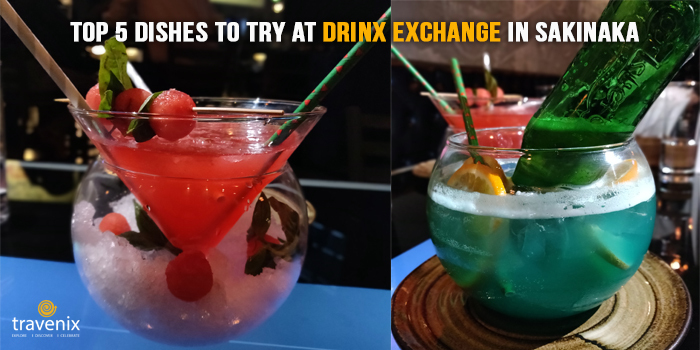 Tag some friends and get ready for a chill weekend at Drinx Exchange!! Drinx Exchange currently has branches in Kandivali East, CBD Belapur and Saki Naka.